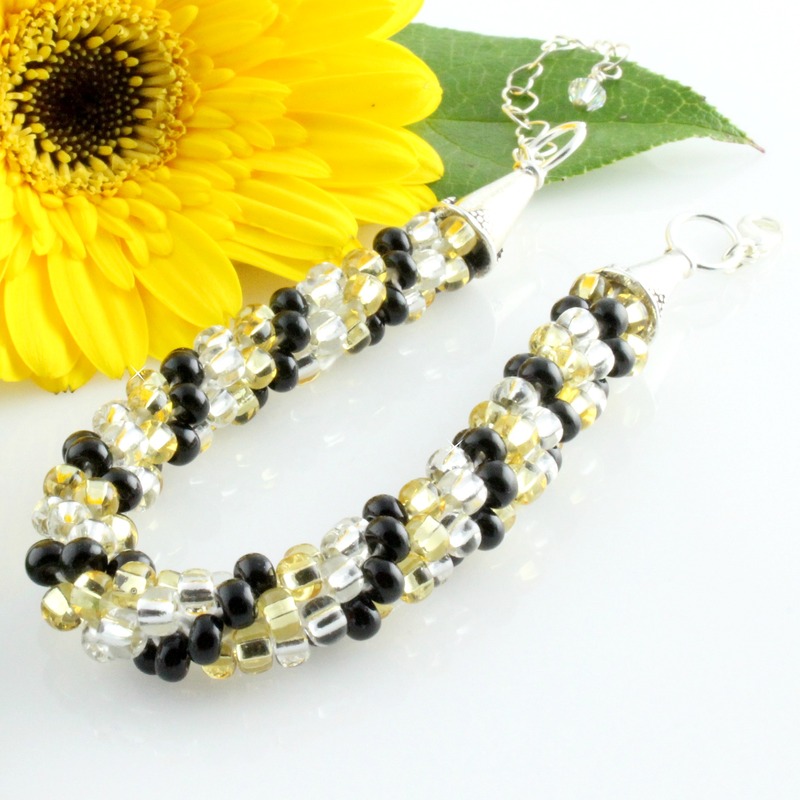 A winning combination of black, silver-lined and gold-lined seed beads make this bracelet an unexpected pleasure! The black, silver and gold spirals through this bracelet to match just about every outfit. (Especially the little black dress!) An affordable extravagance for everyday life.